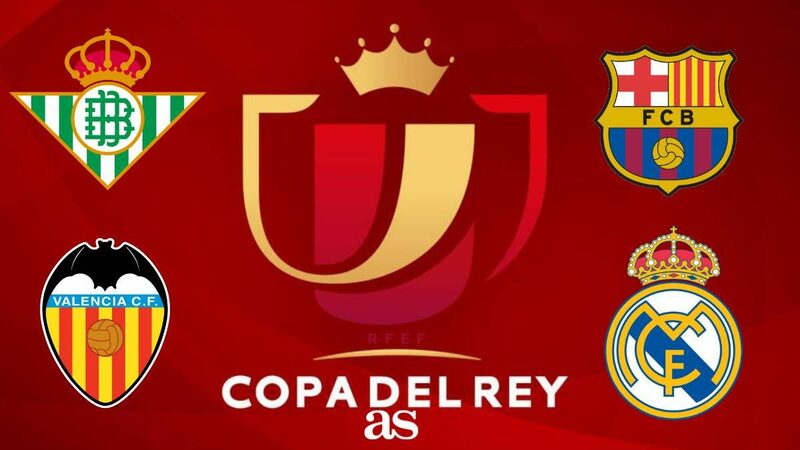 Barcelona, Real Betis, Real Madrid and Valencia are the teams in the 2018/19 Copa del Rey Semi-final. Real Betis will play against Valencia, which means we will see El Classico as Barcelona will play against Real Madrid. Betis will be at home in the first leg of their tie with Valencia, Barcelona, meanwhile, will be at home in the first leg against Real Madrid. The semi-final ties are to be played on 6/7 February and 27/28 February, incidentally. The 2018/19 Copa del Rey final will be held in Seville at Real Betis’ ground, the Estadio Benito Villamarín.